When the NZDG calendar comes out it's always a great idea to add the dates to a wall chart and then when the airlines come up with their cheap flight deals you can quickly cross reference the dates and book flights at prices that make your Disc Dollars go that little bit further. That's exactly what this DG reporter did with his trip to Twizel. Having attended last year and thoroughly enjoying myself I'd marked this one on the calendar as an event that I should make the effort to play again. 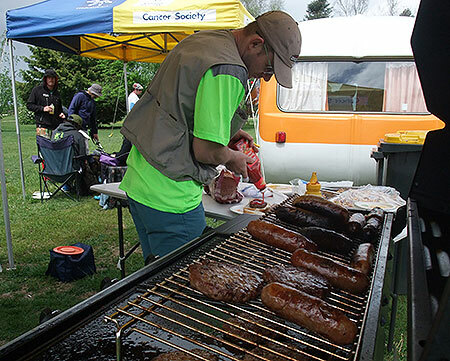 The Wanaka crew with the assistance of the locals really put on a great weekend. The 2 hour drive up from Queenstown sees you travelling through some spectacular scenery. Spring in this alpine environment is really quite stunning. Friday night and there was a light dusting of snow on the mountains around Twizel and those that travelled up on the Saturday morning reported Lindis Pass was quite spectacular. Saturday morning and it was crisp with a little dew on the ground. The coffee truck was pumping wake up happiness as competitors pulled into the car park. Martin had the music playing and was putting the groups together for a 10am tee off. Like last year the feeling was very laid back as the foursomes headed to their starting holes. As the cards came in to the aroma of sausages on the BBQ, Josh Martin headed the field with a solid 52. Hemi Te Awhitu was tied for second 3 shots back with Ben Weil-Lake and ChCh golfer Cameron Hubbard. The afternoon round saw Hemi shoot the hot round of 51 with Josh matching his morning's 52, things were tight at the top heading into Sunday morning and one more full round for everybody followed by the 'Super 6". Queenstown Junior Ben Wiel-Lake shot the weekend's best round of 50 on the Sunday morning and the scene was set for the exhibition 'Super 6'. Thanks heaps to everyone who made this event yet another great stop on the NZDG Tour. Three Nuggets, 3 Sauces - Breakfast of champions forJosh Martin. 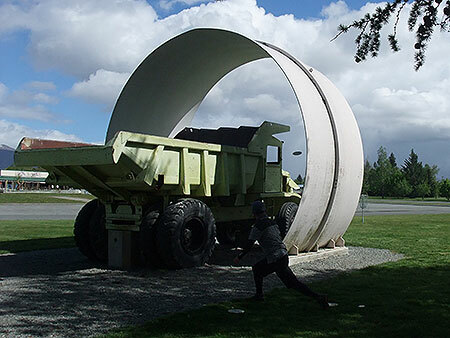 Tonka Twister - ​Can only be Disc Golf in Twizel. 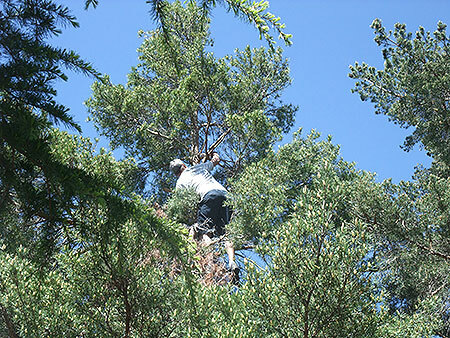 Reaching New Heights - ​Aaron Mires retrieving a favourite disc. 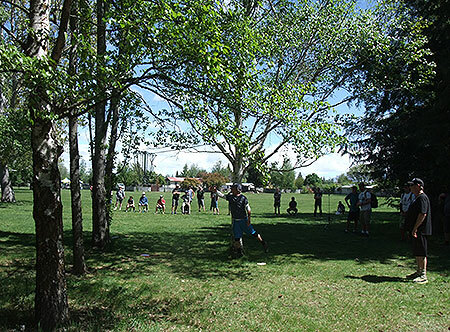 Da Da Da Daa - Disc Golf's version of Swan Lakes dying swan. Kyle Martin sends his putt at the chains. 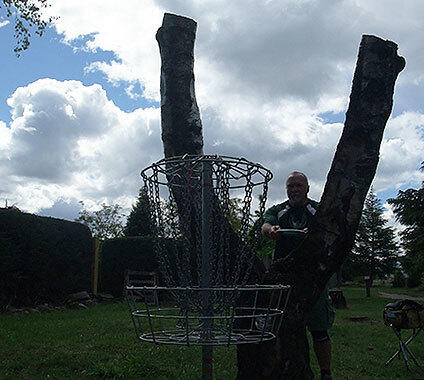 Floating Putt - ​Dom Hayden plays at the hanging basket in the 'Super 6'. Peak-a-boo - ​Team NZ player Kyle Martin delicately plays outta trouble. 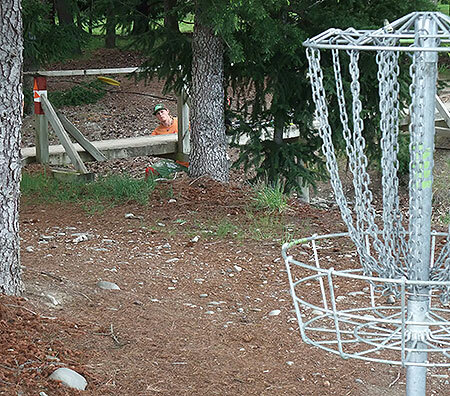 V for Very Average - The GM played some ordinary Disc Golf. 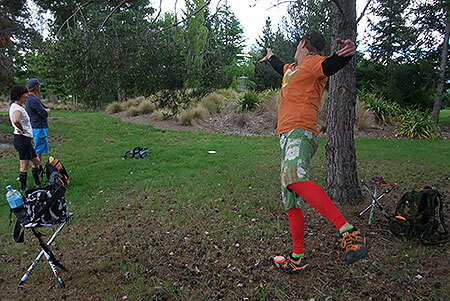 Team Player - ​Proud to be wearing the Team NZ shirt Hailey May Flintoft played solid golf to with the Woman's title. 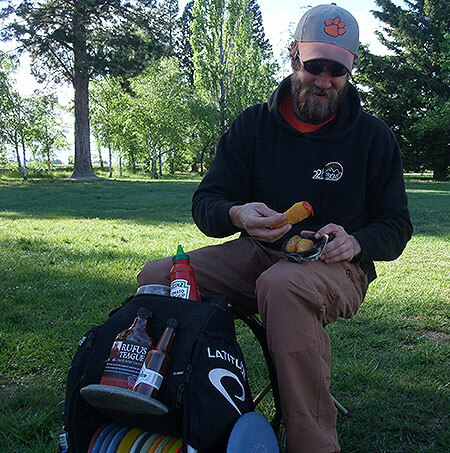 The Sauce of Energy - ​Ya can't go wrong with bangers on the barbie. Welcome One and All - ​TD Martin Galley gets Moon base 2016 under way. 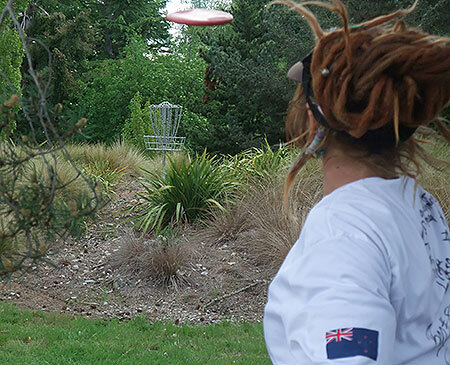 Dom in Ating - ​Wanaka's Dom Hayden sends a solid putt at the chains as Kyle and Hailey check out his style. Dom in Ant - Dom again shows putting finesse. Flax of Life - ​Tom Mackay putts for a birdie. Six of the Best - ​The 'Super 6'. Hemi Te Awhitu, Ben Wiel-Lake, Dom Hayden, Chris Davies, Cameron Hubbard & Josh Martin. The Twizel Moonwalk - ​2016 Moon Base winner Hemi Te Awhitu impresses the gallery watching the 'Super 6'.